WATCH | Socrates Villegas Wala Raw Pinaparinggan Sa Video Na Kanyang Inilabas? 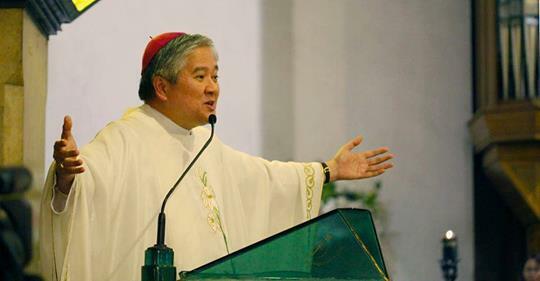 Lingayen-Dagupan Archbishop Socrates Villegas has clarified that the eight-minute video posted on his Facebook account is not directed at anybody, News To Go reported on Thursday. 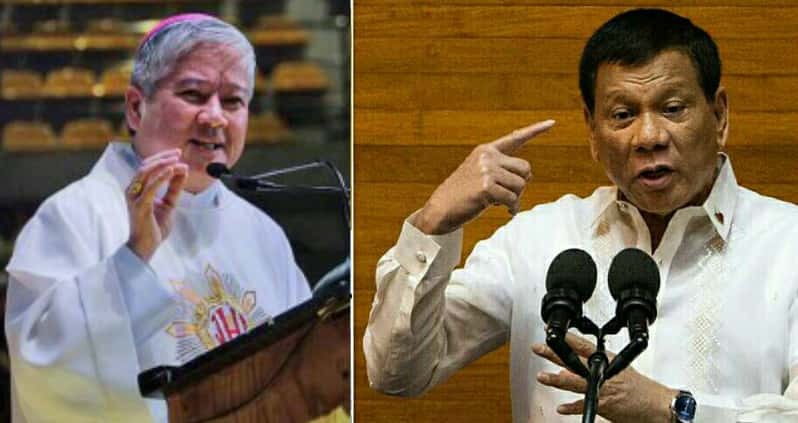 He made the clarification after the video with clips of President Rodrigo Duterte's "attacks" on Christian's God, Catholic priests, and bishops drew a reaction from Malacañang. Villegas posted last Tuesday the controversial video, where he is apparently criticizing President Rodrigo Duterte, and at the same time reminding the people not to betray God with their vote in the coming midterm polls. The video contained a compilation of clips of Duterte’s popular sound-bytes calling God stupid and cursing bishops and priests for their "hypocrisy." In between clips of Duterte’s speeches, Villegas is shown reading several Bible verses that appeared to be a response to Duterte. Presidential spokesperson Salvador Panelo questioned Villegas' statement in the video, and called on the bishop (using a quote from the Bible) not to judge anyone so he won't be judged in the same measure that he judged others. Villegas also clarified his advice to voters in the video, saying every Filipino has the right to vote but should be wise in electing candidates.